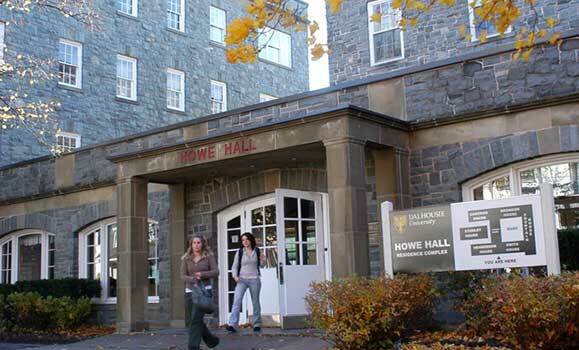 Howe Hall's site had been reserved for a residence since the original campus plan was created in 1912. DalCard offices, where you obtain or renew your university identity card, can be accessed through the Coburg Street entrance (corner of LeMarchant & Coburg), along with the Residence and Housing administrative offices. The management offices of the Ancillary Services department are also located here. Aramark, Dalhousie’s food services provider, has its office at the back of the building on the bottom floor. View the DalCard website for a list of locations accepting DalCard.